On Sunday 14th May 2017 Abbey Thoroughbreds will offer two quality Casino Prince colts in the Select Session of the Scone Yearling sale. We may be biased because we are offering the only two Casino’s in the select session but we consider Casino Prince one of the most underrated sires in Australia having already produced group 1 winners All Too Hard, Lim’s Cruiser and Escado, and multiple stakes winners such as Mighty Lucky, Hooked, Casino Dancer, Star Rolling, Timeless Prince, Phrases and Slots. When you look at the above list it becomes clear why the words ‘tough’ and ‘resilient’ are often used to describe the progeny of Casino Prince. He also boasts a 65% runners to winner’s ratio at the time this sale was catalogued, so if you have not discovered him already jump on board at Scone this year with one of these two nice colts. Lot 9 is a colt by Casino Prince out of the city winning mare Alli’s Aria, a mare from a family that features Rolls, Flying Spur and Encosta De Lago. 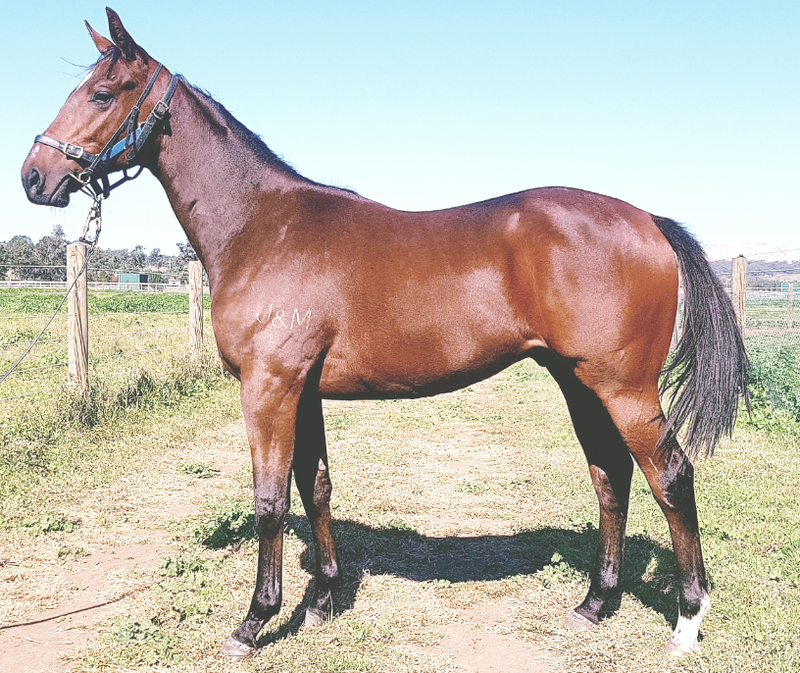 Alli’s Aria first foal to race, Never Tardy, is a 3yo that has been placed three times in 6 starts. He is pictured below winning a barrier trial at Muswellbrook by 5 lengths in April 2017. Her second foal is a colt by Dubleo who is yet to race but his early progress has been extremely positive and we are excited to have him back in work earlier this month for what will be his second prep. Her third foal is a lovely weanling filly by Excelebration. This BOBS eligible Casino Prince colt (Lot 9 – pictured below during his sale prep) walks and moves extremely well, and has x-rays. We strongly recommend you put him on your inspection list. Out of the twice winning Danehill line mare Debz Reign, our second BOBS eligible Casino Prince is Lot 53. This well grown colt (pictured below during his sale prep) will appeal to a wide range of buyers. 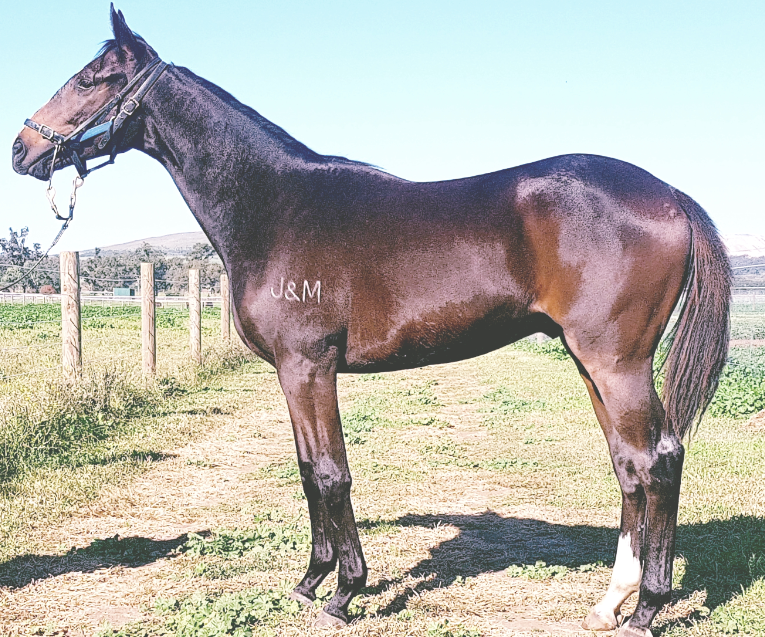 This is the fourth foal from Debz Reign who has had two to race so far – a Trotomondo filly (Cosmic Reign) who was placed, and a 3yo Trotomondo gelding (Cosmic Reign) who was narrowly beaten at his first start and then ran a close 4th at his second and only other run prior to going to the paddock. Her third foal is a magnificent colt by I Am Invincible who sold for $150,000 at last year’s Magic Millions ready to run sale. Debz Reign is currently in foal to Myboycharlie. This Casino Prince colt (Lot 53) has x-rays and provides an opportunity for buyers to purchase an affordable colt with a huge amount of upside. Phone or email Abbey Thoroughbreds with your enquiry. Abbey Thoroughbreds is a premium racehorse spelling and breeding property located in the heart of Upper Hunter Valley, NSW, thoroughbred country, offering high quality racehorse spelling, broodmare agistment services, sale preparation and pre-training programs. All content © 2016 by Abbey Thoroughbreds.